​Do you love Bible Journaling? Scrapbooking? or Card Making? Me too!! 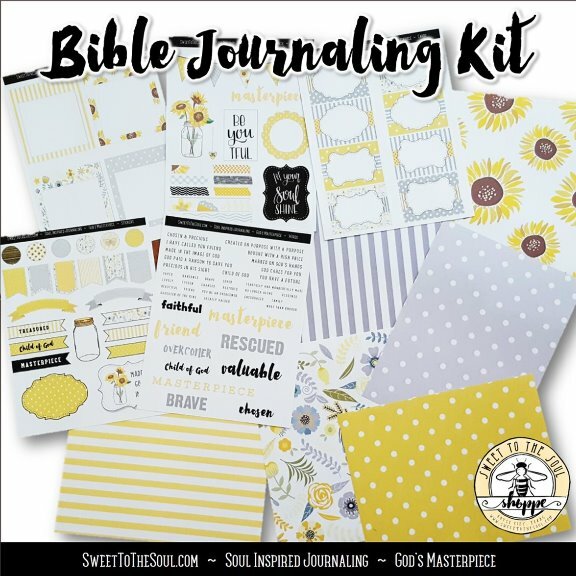 And I am so excited to share our very first #SoulInspired Bible Journaling Kit! I love all things creative. I love incorporating this creativity in my Bible Study and worship time. 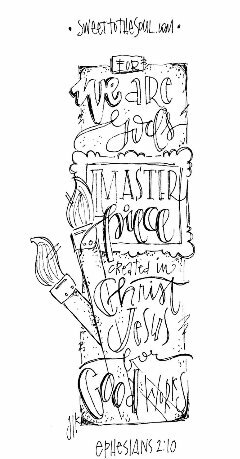 What better subject to craft about than God's wonderful love! And I ​must say that it's so beautiful to see the practice of Bible Study with creativity just exploding. It's a wonderful way to connect with other believers and introduce the Word of God to unbelievers who love to craft. 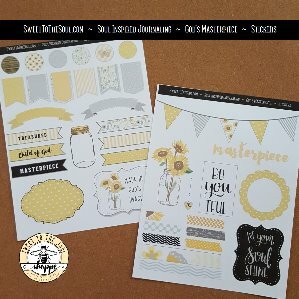 When designing our first Soul Inspired Bible Journaling Kit, I wanted it to not just be pretty or cute, but to incorporate teachings and inspiration directly from God's Word. So the topic of this kit is - God's Masterpiece. 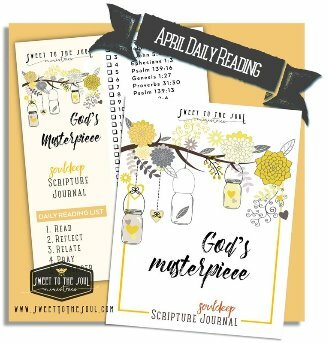 The colors, words, and phrases were designed to coordinate with our #SoulDeep Scripture Journal of the same topic, God's Masterpiece. ​The dictionary says a masterpiece is: the most outstanding piece of work of a creative artist. WOW! Is there a more creative artist than God? What better topic to begin this creative series with than God the Creator. 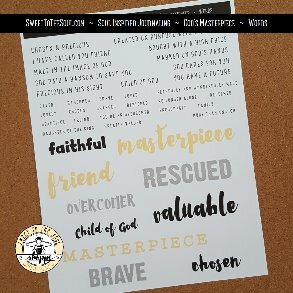 1 - 4.25" script "masterpiece"
10 - large script words 2" - 6"
When you purchase the [digital download] Soul Inspired Bible Journaling Kit, you receive 1 pdf file with 7 pages and 4 .zip files which contain a individual .png of each individual element. But if you do not need the whole kit, each set can also be purchased and downloaded separately. If you would like to explore further the topic of being God's Masterpiece, we have some additional resources for you. ​The Soul Deep Scripture Journal is a 31-day scripture reading plan and journal. Two full (8.5" x 11") pages are provided for each day's scripture. 2) Verse Mapping page for mapping out the scripture in detail and using cross referenced scriptures and word study. Full instructions on how to use the journal are included. 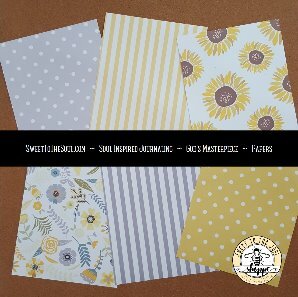 *FREE* gift with purchase: printable scripture card set of all 31 scriptures. The Soul Deep Daily Reading Plan is a 31-day topical Bible reading plan. Each scripture is selected to deepen your Bible Study around the central theme / scripture. 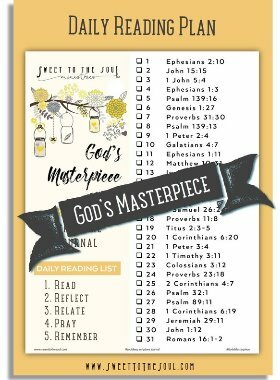 Download a the God's Masterpiece Daily Reading Plan for free. 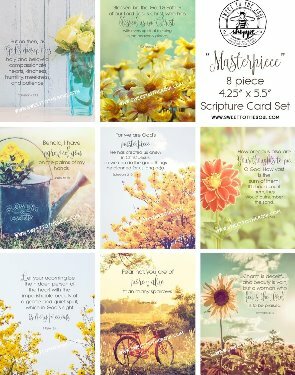 The ​Scripture Card Set is an 8 piece scripture graphic set featuring 8 of the Bible verses included in the God's Masterpiece Scripture Journal. ** BONUS ** page with all scripture cards, each 3.25" x 2.5"
Thank you so much for checking out our Bible Study resources. We would love to see how you use any or all of these items! Visit us on social media and share your images of how your #SoulInspired Bible study! I create so my soul knows I am listening. This is so special and I will likely be able to use one or the other for the front of a three-fold card that fits inside of a business size envelope. I am 77 years old, have a very mild form of PD, and "love" the stress-removal that coloring helps provide. By making cards with my coloring, I am satisfying several deeds with which I know the Lord must be well-pleased ". . . it's not "just for me"! Thank you for helping by providing the art work, a part in which I feel I have little talent. Thank you Jana for your heart for God and for helping people like me who found your site and with it found great joy. I know that you are a blessing of God to me in this season of my life.